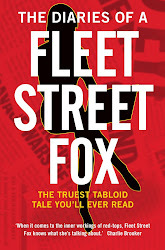 fleet street fox: Influence (n.): The capacity to change. THERE are some words people always get wrong. Power, for example, is something people think means strength and the ability to bend the world around you. It doesn't - it simply means that a thing or a person can do something. You have the power to do whatever you like, unless your hands are tied or you're shut in a cellar. Every voter on the electoral roll has the power to pick an MP, if they choose to use it. 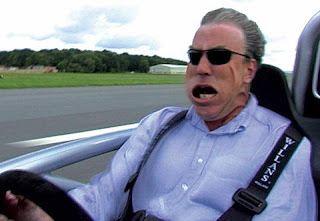 A car has power to go faster or slow down, and no car is actually more powerful than any other. What is different is that some cars use the power more effectively than others. So when Jeremy Clarkson shouts "POWERRRRRR!" as he puts his foot down, he's getting it wrong because he should be shouting "EFFECTIVENESS!" instead. If everyone has power, then the reason some people make more of a splash than others is because they use it to change things. So a politician gets themselves voted in because they know how, wangle a salary for the wife and a gold-plated pension, and the voters think they must be more powerful. They're not - they've one vote, just like everyone else, it's just they've managed to pile all the votes up and sit on them. They go on to tell teachers how to teach, reporters how to report, and that it's up to food manufacturers to police their own suppliers, and the reason they get away with it is because we let them. It's not because they're any better at this stuff than the rest of us - they're demonstrably worse. And when Woman's Hour compiled a list of the 100 most powerful women in Britain, it started off with the Queen whose powers are in fact limited by statute, custom and theology and forgets to include her granddaughter-in-law Kate, who has inherited Diana's ability to bend the world merely by blinking. Kate can influence women all over the world into copying her hairstyle, buying up Reiss dresses like there's about to be a shortage, cause international flurries with naughty Italian magazines, and by patronising one charity or another can bring in the kind of publicity and fundraising no-one else can. She's thought to have given British fashion alone a £1billion kick up the bum - the Queen can't do any of that, and not just because she's older. She didn't do it when she was younger either. The fact is that, as Queen, she's not allowed to. Then there's the case of Chris Huhne and his ex-wife Vicky Pryce, in which he is accused of bullying her into taking his speeding points. The prosecution argued she had the power to say no, and her defence is that she was under her husband's influence. Both are absolutely correct, but the jury has to decide which was the more likely to change things. Then today there was the case of Robert Heneghan, who as a 10-year-old was described to a court as 'an imp of Satan' and in 2004 became the youngest person to get an ASBO. Clearly a troubled little toerag, he was arrested three times a week, torched a charity shop, shot at people with a ball-bearing gun and kicked a football covered in faeces into a supermarket. At 16 he knifed someone who lived, and at 19 he knifed someone who died. He's just been jailed for murder, and if ever there were a greater example of how power is misused he is it. The state had the power to take him into care and influence him for the better - it failed. The only power Robert had was to wield a knife, and the only influence he had was to shock, horrify and hurt the people he met. He's now been denied freedom and is surrounded by criminals and the mentally ill, so when he gets out of jail he is going to be no better than when he went in. Probably worse. Perhaps you feel like a Cinquecento and think everyone else around you is a Bugatti Veyron. Maybe you think your hair isn't shiny enough, or that nobody listens. The point is that the power is within you, if you want it. The people who put themselves above you, or are elevated there, rarely use the influence they get in the way they should - to make sure people aren't eating horse meat, to improve engine efficiency, or to help troubled little toerags while they're young and we still can. It's just a case of putting your foot down. Think how that would feel.